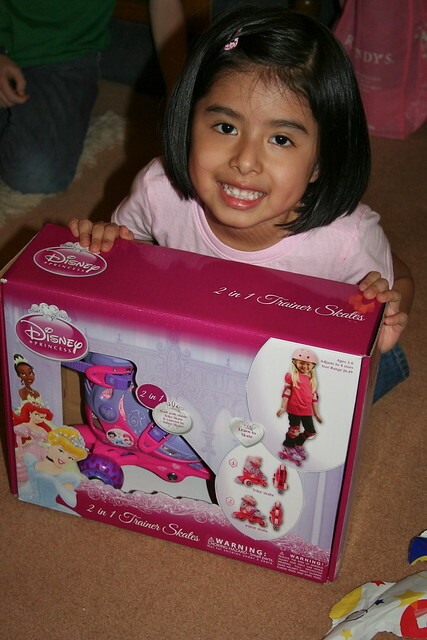 I keep a running wish list for the kids (on Amazon) and add things that I see that I think they might like or that they see and wish they owned. Sometimes I might edit the things they wish for a bit and sometimes I add things to the list thinking that no one will ever buy that item for them (so I'm safe). 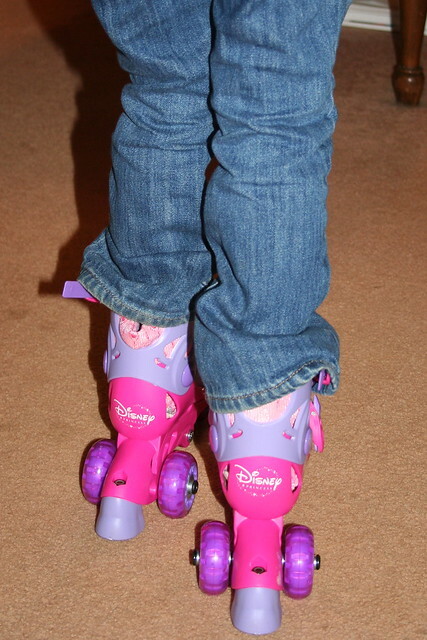 Such was the case with these princess roller skates (because they are princess roller skates and because I wasn't so sure EJ would actually use them). 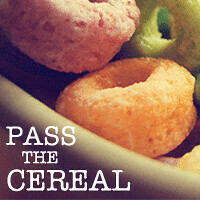 Well, I added them to the list and my Mom bought them the next day! 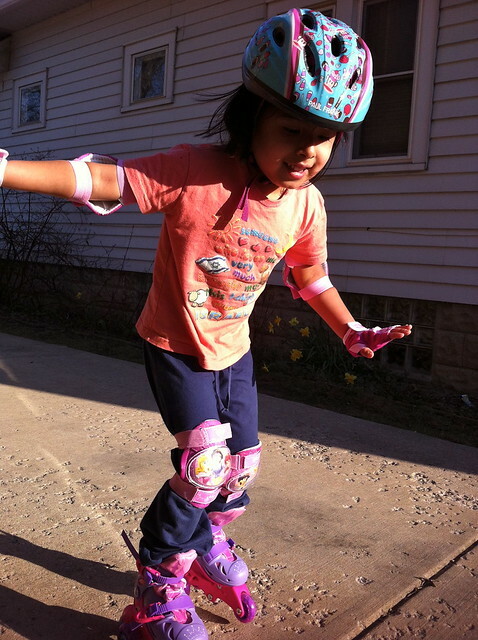 Huge hit on EJ's birthday and she started skating across my mom's living room immediately. 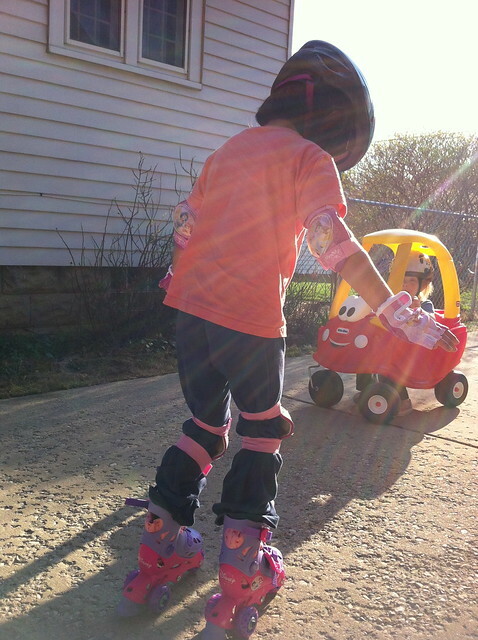 And then she took her skating outside (after buying matching princess safety padding) and my normally (very) nervous child tried them out with no hesitation! She wobbled a bit (and even fell down a few times), but she never gave up or cried or said she couldn't do it (her usual MO when doing something new and physical). I was really proud of her. And by the time Matt got home that night, she was pretty steady on her feet...and very proud of what she had accomplished. And she should be! Your comment about Livie cracked me up! Thanks for the laugh. Also, way to go EJ! The helmet in the Cozy Coupe made me laugh. 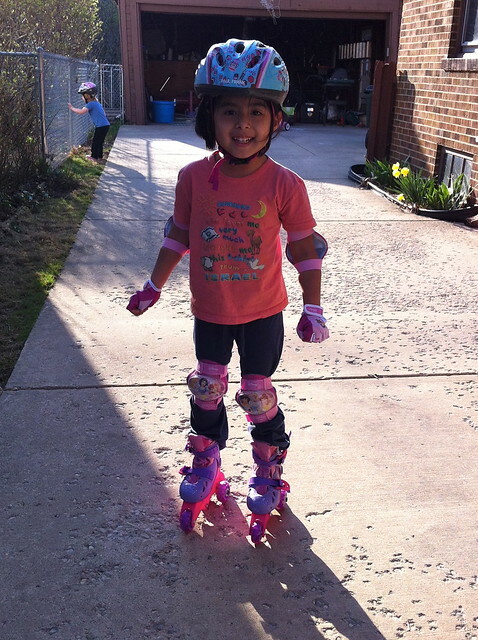 Sabrina tried some roller skates recently. She is usually very fearful and all "I can't do it" too. But she did really well and was quite brave!